You may not have free rein when it comes to designing your work cubicle at the office, but when it comes to your home office/study, all bets are off. And this is fantastic news, even more so if you are fortunate enough to work from home, meaning you are in charge of not only your hours, but also your work space’s style and design. On that note, may we make a suggestion? Scandinavian. Why? Because the Scandinavian design style is the perfect style to choose if you want an interior that has a light colour scheme and minimalist design without going the expensive way of the modern and contemporary styles. 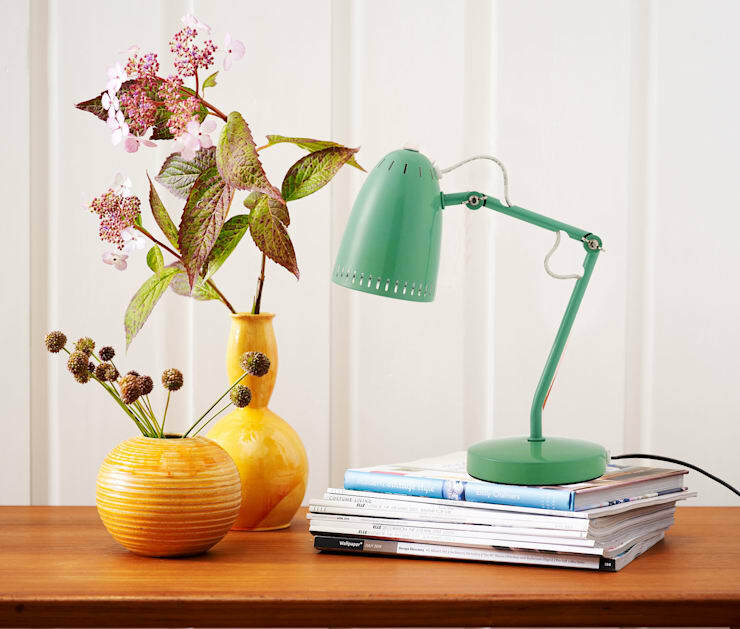 Scandinavian design started in the 1950s in the Nordic countries of Sweden, Denmark, Norway and Finland. The style has since then become a popular trend worldwide. Scandinavian designs are known for three main characteristics: simple, affordable, and functional. Minimalism is a key component of the style — furniture takes centre stage and accessories are rare and carefully selected. Let’s see how to go about creating the ultimate dream office space that is worthy of an Instagram post! Start with a blank canvas. Think white walls, even white floors (or in a pale tone at the most). Bright white is the colour of choice for the primary, background setting in Scandinavian design. It makes perfect sense, as nobody wants any distraction in their work space. Scandinavian design places function first and then works backwards to see how much can be simplified. Thus, it is the perfect atmosphere to be incredibly productive. homify hint: Along with white, the muted tones of pale blue, cool grey, and cream are seen everywhere in Scandinavian interiors. Keep it simple. The Nordic designs are all about furniture with clean and simple lines, and in a neutral colour. Because of this, grey lounges and natural wooden tables are in. But even though simplicity is key, that does not mean you have to go bland and boring. Bring a touch of colour into your furniture, especially with your desk chair. 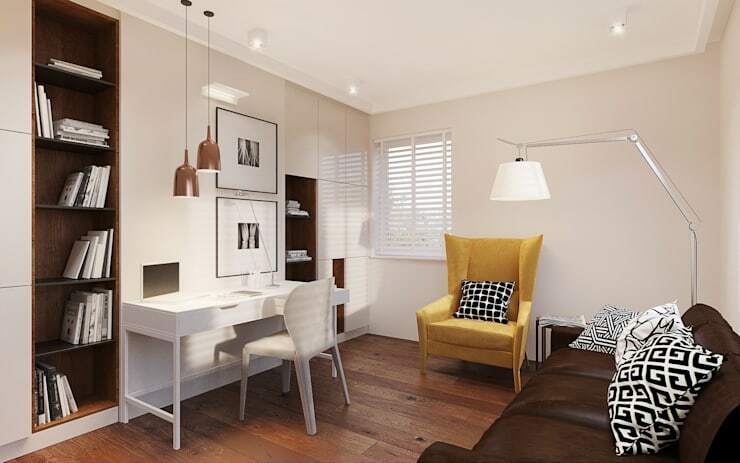 See how smooth interior designers Danika (above) went about creating a study space. A clean and simple table, with a funky chair that is also quite neat, yet flaunts a strong sense of colours and patterns. Posters are an easy and quick way to breathe some new life into your interior. But if you were hoping to hang those loud prints that burst with colourful oils, think again. 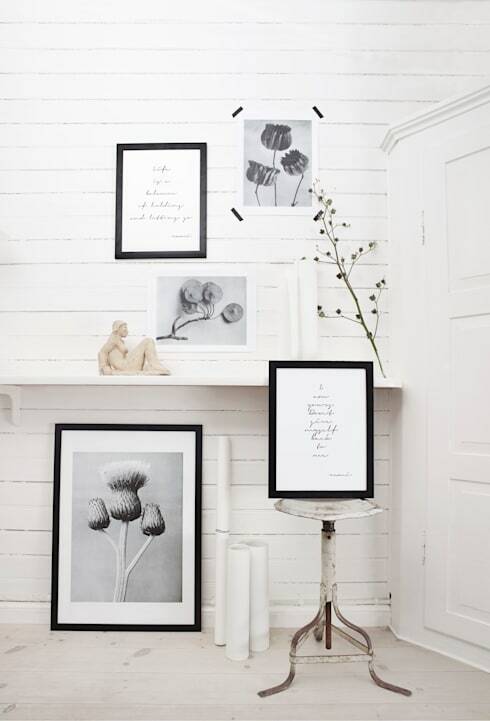 There is a strong presence of graphic prints and black and white typographic artworks in Scandinavian interior design. Pale, neutral colours are the best tones to work with, so use these for your wall art. Inspirational quotes against simple white canvas and in dark frame are perfect elements for your wall decorations, but don’t go overboard. Stick with two or three (perhaps throw in a black-and-white photograph), and you’re done! Clean, simple, and organised – those are the keywords we use when designing in the Scandinavian style. Like the minimalist style, it placed emphasis on the presence of space instead of objects, and love using muted colours. A simplistic, yet artful, approach reveals itself in all Nordic furnishings through simple straight lines combined with understated adornments. On that note, if you really want to rule those deadlines and be on top of your game, you are going to require a notice board in your home office. Don’t be scared to bring a bit of colour in here, but just keep it simple – you don’t want it to distract your attention. Just be sure to keep it neat! No matter what style we are referring to (Scandinavian, Asian, Colonial, Rustic… ), a bit of foliage is always welcome. But even here, factors like attention to detail and high-quality materials are crucial for the Scandinavians. Rather leave that bouquet of crimson roses for your living room – your Scandinavian study requires something more modest. 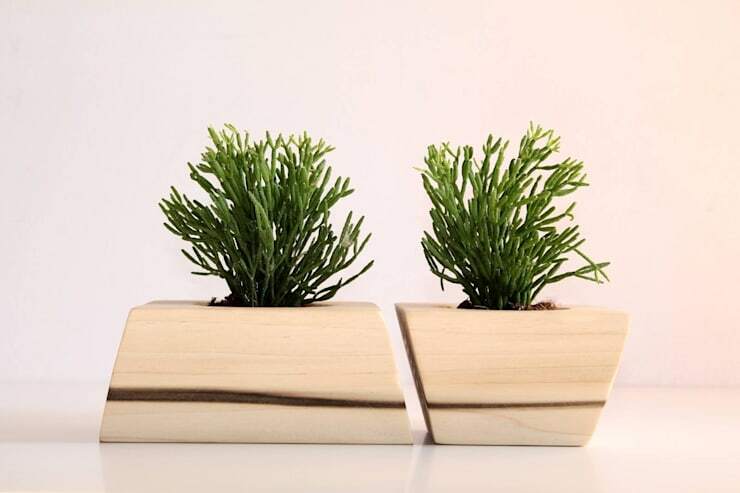 A simple glass vase or timber planter is ideal. And just like your interior palette, your choice of plant or flower needs to be quite muted. Opt for a flower with pale, light colours, or a plant with simple green leaves. Embracing the Scandinavian style does not mean leaving your favourite colour outside. By all means, bring it into your new study, but be modest and clever about it. Scandinavian design is known for being playful and fun. Colourful art, cushions, throws, rugs and even decorative furniture pieces are all popular décor items. The Scandinavian canvas might be white, but the colour is splashed everywhere. Our recommendation? A bold pillow with a geometric pattern. Or a cosy blanket in your favourite colour (whether that be violet purple or carrot orange), elegantly draped over a chair or corner wingback). The pale palette that dominates your background is sure to make these new colours pop. Remember, less is more when it comes to the Scandinavian style, so opt for a slim and simple lighting fixture for your desk. The Scandinavian aesthetic maximizes light, so by using reflective surfaces, like mirrors, you can make use of all the available light you have and then add some artificial ones, like a wall model or ceiling light in addition to your new desk light. homify hint: Being as high up north as they are, the Scandinavian countries are prone to very little light, especially in winter, when some of them experience less than six hours of daylight. That is why their interior designs opt to include as much light as possible, hence the absence of any window treatments. So, take down those curtains and welcome the sunshine in! Let’s see how to: Bathe your home in natural light! 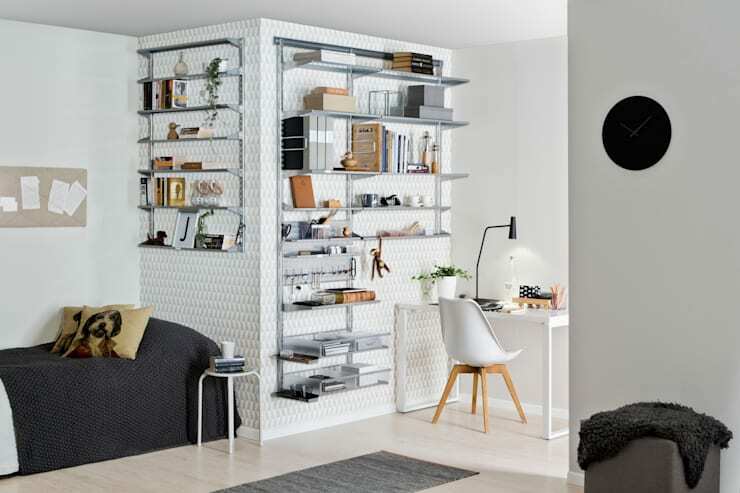 Floating shelves and sleek cabinets that flow eloquently with those white walls are perfect for your new Scandinavian home office. This is a crucial design element, as the cabinets and open shelves not only accentuate the room’s style, but also help to keep the clutter in check. 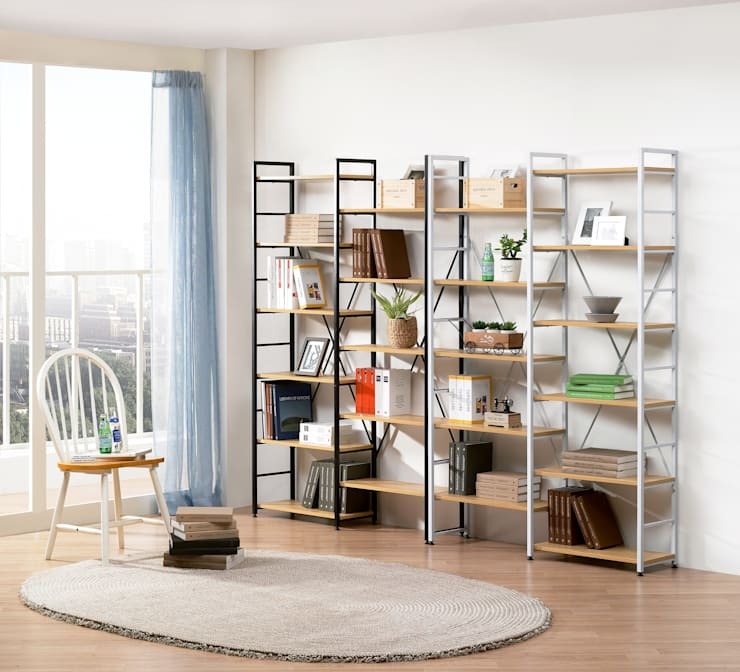 Think light timber for those bookshelves, with a white or dark frame, as expertly shown by Danika in our example above. Remember that the Scandinavian furniture is like objects of art, and with its simple and clean layout, it can last a lifetime (if looked after by you, of course). Enjoy your fabulous new home office space, and be sure to brag about it on Instagram! 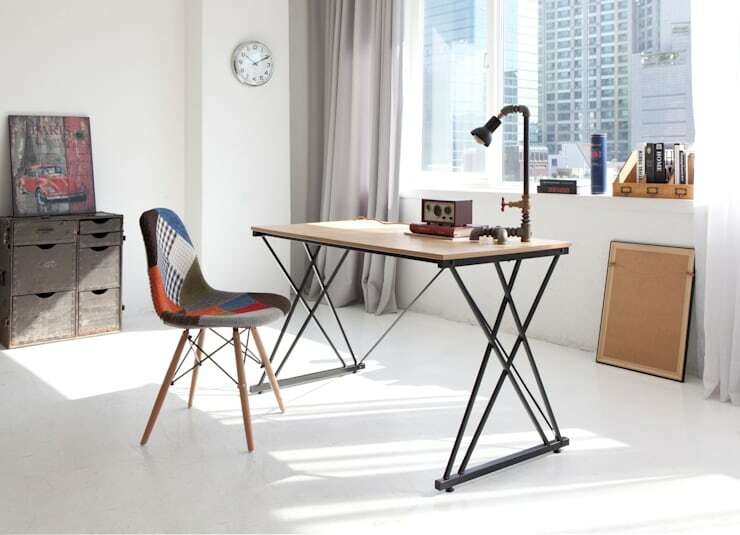 Please write a comment below and tell us what elements you plan to include in your Scandinavian-style work space.